Break through the hype! You depend on reviews when making purchases, going on vacation or just deciding which movie or restaurant to visit. People rely on word of mouth to make smart choices fast. Nearly 85% of car buyers depend on reviews to decide not only which brand to buy but also which Dealership to visit. 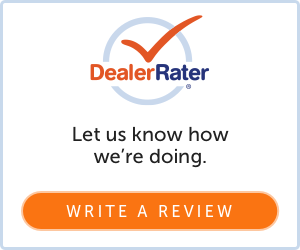 The reviews shown below are pulled from DealerRater, the must trusted automotive review site. They are real, unedited, and verified for authenticity.